Are you the kind of person who thinks ahead about what you want to eat for dinner? Anytime I can make a recipe or any part of it ahead of time, I’m a happy cook. With that in mind, I’m glad to report the teriyaki marinade for this chicken can be mixed and stored up to a week ahead of time. On the morning of the day you want to eat these chicken thighs, pop them into a zippered plastic bag or a covered bowl. Place in the refrigerator. When ready for dinner, drain the chicken. Grill or broil the thighs for 6-8 minutes per side. It’s that easy! As a finishing touch, try using black sesame seeds in addition to regular sesame seeds when making these Easy Black and White Sesame-Teriyaki Chicken Thighs. Don’t have black sesame seeds? Don’t fret. Boneless, skinless chicken thighs marinated in made-from-scratch teriyaki sauce. Garnished with black and white sesame seeds. Whisk together first seven ingredients to make teriyaki marinade. Pour marinade into gallon zippered plastic bag or bowl along with chicken thighs. Allow to sit in the refrigerator a minimum of 30 minutes or all day if necessary. Preheat broiler. Drain teriyaki sauce into 2-quart glass batter bowl and reserve. Arrange chicken thighs "skin" side down on foil-covered cookie sheet. Place under broiler (or grill, if you prefer) until brown and crispy 6-8 minutes. Meanwhile, cook reserved teriyaki sauce in microwave 4-5 minutes. Sauce will boil and cook down a bit. When turning chicken thighs, brush marinade over the top and continue to broil another 6-8 minutes until chicken is almost cooked through. 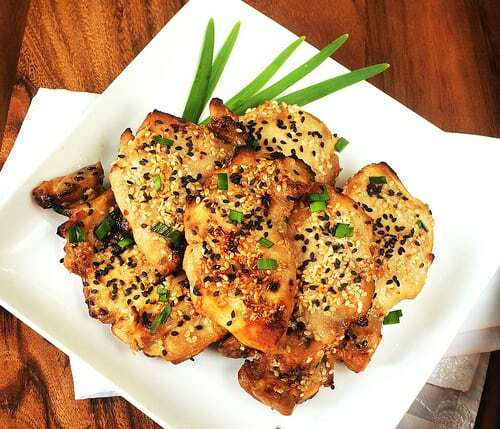 Sprinkle chicken with "white" sesame seeds and cook until seeds turn golden brown--about 1-2 minutes longer. Remove from oven and sprinkle with black sesame seeds before serving. Garnish with chopped chives if desired. 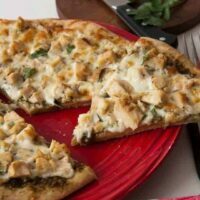 Chicken Pesto Pizza uses flavorful pesto sauce in place of pizza sauce. Add some cooked chicken, cheese and cilantro or basil for a gourmet pizza you can easily put together from start to finish. 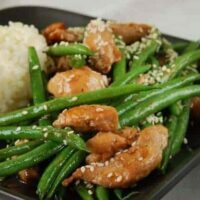 Avoid another take-out night with these tender green beans and chicken combined in a spicy stir fry sauce and served over rice. 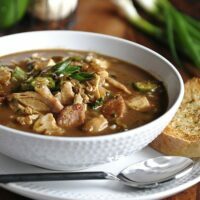 Mild Chicken Curry is a simple weeknight dinner of mildly spiced tomato-y chicken curry. 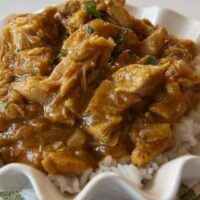 It will remind you of Chicken Masala but is much easier. 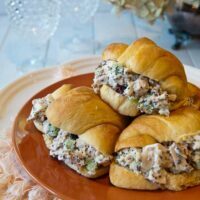 A fancy chicken salad full of white chicken, celery, almonds, poppy seeds and dried cranberries. 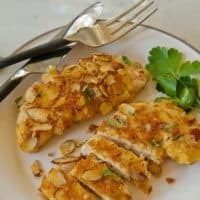 This looks like tasty and easy to prepare. My brother will cook it for dinner. He loves to cook dishes when it comes to chicken. I can’t wait to taste it! 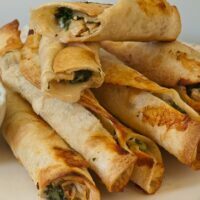 Just made these for dinner tonight–so yummy! Thanks for sharing the delicious recipe. Interesting recipe. Would like to try it soon! I am sure this tastes as good as it looks. I am glad I stumbled on your Blog. I’ll eat anything with red pepper flakes – even better in a healthy dish like this. Aren’t ziplocs a staple in the kitchen? I reuse mine as much as I can but…. oh… this is a post about food. A beautiful presentation – and this dish is perfect for this time of year (raining…. so it’s ok to heat up the stove)! This recipe could easily be one of my favorites. I just have to figure out how to pass this off as chicken breast or steak. I seem to have some very pickey eaters when it comes to chicken. I am sure when they taste this dish they will change their minds and beg for more. I can taste it now. Awesome job on the photos too. Looks so good can’t wait to try this recipe. Love your site! My husband and I do eat a lot of chicken. 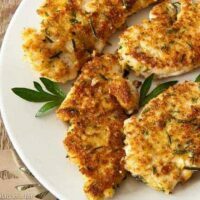 It is always nice to find different recipes for it and this one looks very appetizing. Just may have to print it. Thanks for that option by the way!